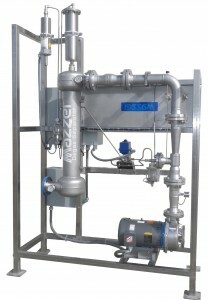 CONTACT MAZZEI to design a GDT Contacting System to solve your problem. The growing demand placed on the world’s water, in combination with more stringent water quality regulations, have placed unprecedented demands to provide safe, reliable and aesthetically pleasing drinking water. Air stripping is an effective way of removing volatile organic chemicals (VOCs) from contaminated water and is commonly used for this application. Air stripping systems mix air with a water supply with the goal to generate the largest possible air-water contact area so that VOCs and dissolved gases, such as radon and hydrogen sulfide, will move from the water to the air. In addition to removing VOCs, air stripping is primarily used for removing oxidizing contaminants such as iron and manganese, improving taste, or removing odor. Air stripping is an EPA Best Available Technology (BAT) for some VOCs including benzene, toluene, xylene, tri/tetrachloroethylene, trihalomethanes, vinyl chloride and many others. 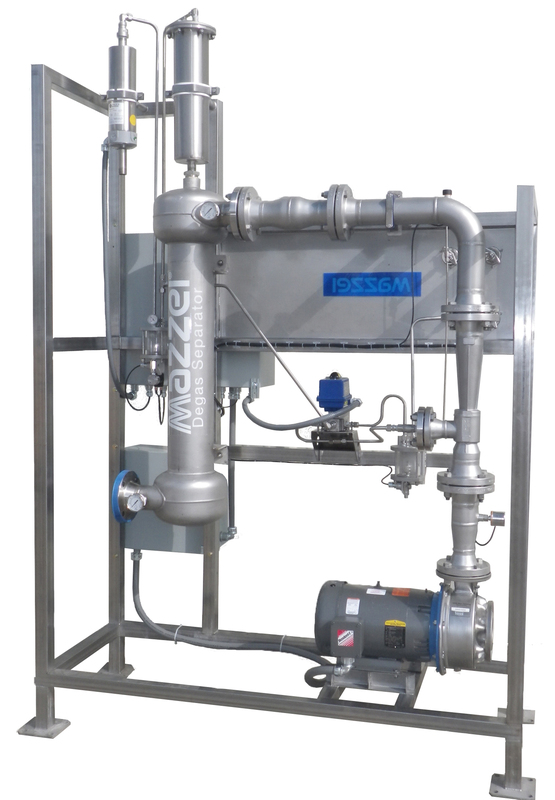 Mazzei is renowned as a leader in mixing and contacting technology, and the Mazzei GDT™ contacting process has proven to be extremely efficient in utilizing this technology in air stripping applications. The GDT contacting process dynamically transfers gases into solution while removing unwanted entrained or dissolved gases. The GDT contacting process draws air into the pressurized water to be treated via high efficiency Mazzei venturi injectors. The dynamic mixing that takes place at the injector efficiently transfers air into solution and strips unwanted materials. The objectionable materials are removed by the patented Mazzei degas separator before they can go back into solution. Staged recirculation within the GDT contacting system allows for enhanced removal rates of the most difficult contaminants. The GDT contacting process, either independently or in conjunction with other technologies, is an efficient and dependable means of treating water. 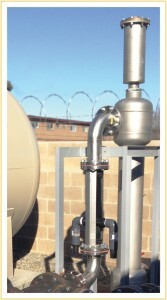 It offers water treatment professionals the benefits of design flexibility for any flow rate. 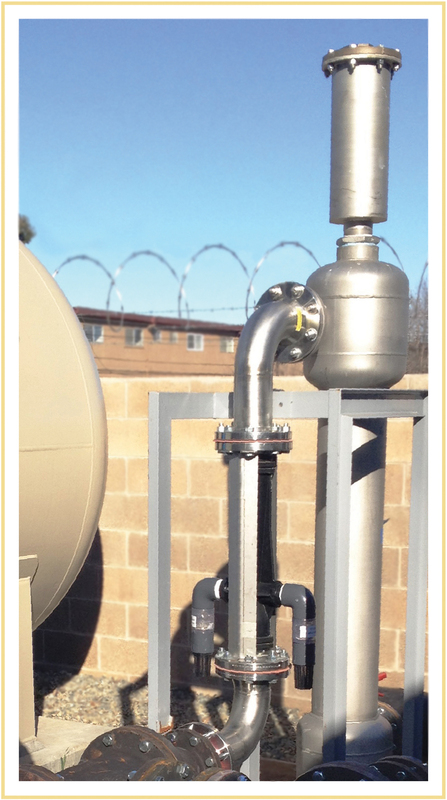 In addition to the technological benefits, the GDT contacting process features a small footprint and low capital, installation and operating costs in an easy to install, non-fouling pressurized system which provides the user with the ability to contain and treat process off gas. Methane is easy to strip out of water. With Mazzei®Venturi Injectors — part of a GDT Contacting System — more than 80% removal can be achieved. The GDT Contacting Process is ideally suited to strip radon from water due to the high Henry’s Law constant and pressurized operational design.